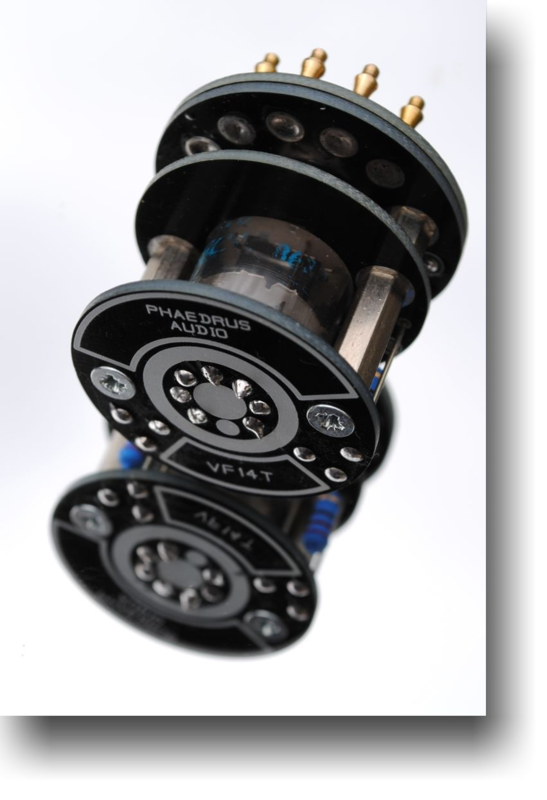 Phædrus Audio now have two replacement VF14 solutions. One based on a real, miniature tube (the VF14T) and the other; our Electronic TubeTM device (VF14M). In terms of technical performance and matching to the original, selected VF14'M' tubes from Telefunken, the answer is simple: our VF14M Electronic TubeTM is the only device on the market which matches Telefunken's original specification. 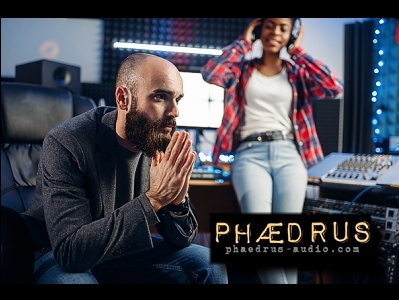 But we're the first to admit that measurements of frequency response and distortion might not reveal everything in audio. 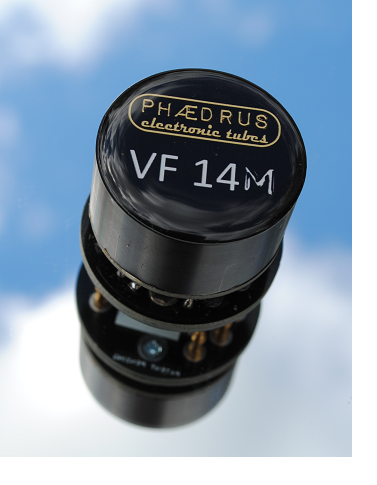 Which is why we developed the VF14T: a true thermionic electron-tube replacement for the original Telefunken device. When fitted in a U47 or U48, you will find the VF14T has a "lighter" (not brighter) tone than the VF14M Electronic TubeTM. The tube also demonstrates a more "complicated" texture - especially when close-miking. The VF14T may therefore suit a male vocalist or tenor sax better than the VF14M. But the VF14M may be a better choice for a female vocalist. And the "M" will certainly be the device of choice when distant miking. The agony of choice! - Which shall I buy? Happily, we can help you there too. With the TU-BE or not TU-BE package (order code VF14-2B), we supply one of each device: the VF14T and our Electronic TubeTM VF14M device. And we supply them at a package price which undercuts the price some of our competitiors charge for a single device! So now, with the TU-BE or not TU-BE package, you don't have to make any compromises. See our pricelist page for prices of the VF14-2B package.